One of our chapter's main purposes is to foster the building of experimental aircraft. 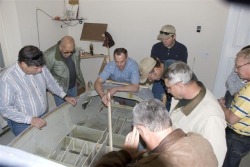 Several current/past members of EAA 190 have on-going or finished projects. Additionally, listed are the aircraft members are flying.